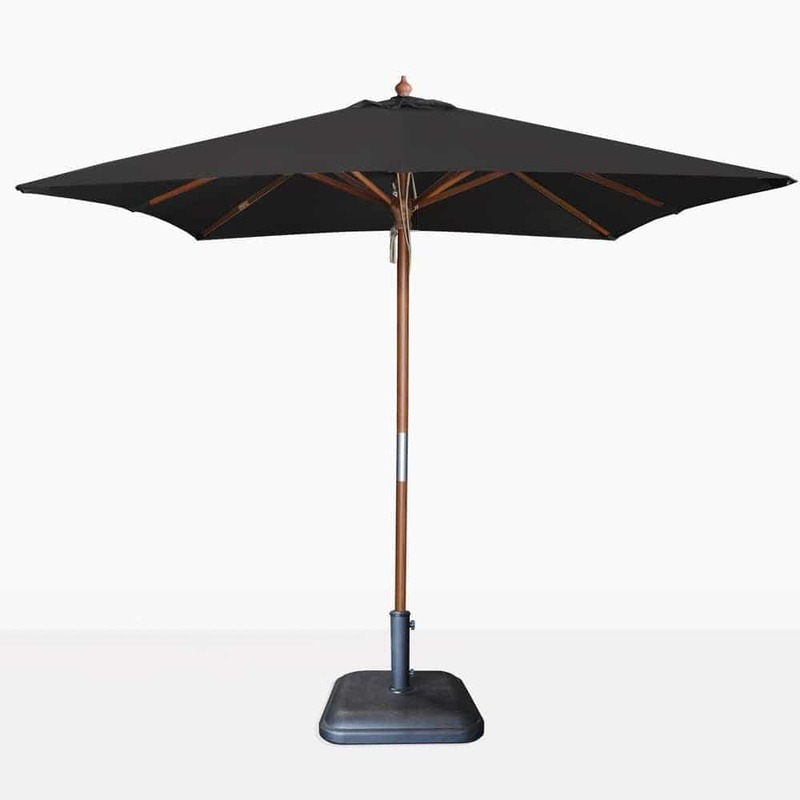 Give in to luxury with the classic, cool and dramatic Dixon Sunbrella Square Umbrella in Black. This traditional umbrella is given a shake up with the combination of the square shape and the hardy Sunbrella® fabric in fabulous black. Whether on the balcony, in the garden or lined up in a restaurant courtyard; the Dixon Square Sunbrella Umbrella (Black) is a classic choice. Try one of the smaller 2.5 metre Sunbrella Square Umbrellas in Black over a Round Teak Table with some folding Grade A Teak Chairs for the ultimate breakfast spot! Perhaps you have a huge area with a Deep Seating and Dining area that needs covering? Try one of the magnificent 3 metre Dixon Sunbrella Umbrellas (Black) to shade you and your friends from the hot UV rays. Create a contemporary, stylish and sophisticated setting, by beginning with the Dixon Square Umbrella in Black. Place it over pieces from our Luxe Black Deep Seating Collection, and get ready to enjoy the outdoors in luxury. The umbrella base shown is not included in the price. With a simple pulley system to put your umbrella up and down, the Dixon Umbrella encorporates the best of the old and new. Classic sensibilities, with top of the range modern materials. Our Dixon range is so popular, we now offer Round as well as Square, so you can continue to create the outdoor setting of your dreams! The amazing Dixon Square Sunbrella Umbrellas (Black) are easy to maintain and clean, largely because of the excellent Sunbrella® fabric that keeps Kiwis safe from the hot sun, under a fabric that wont fade! 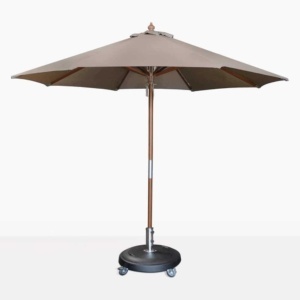 Design Warehouse carries an incredible range of umbrellas, cantilevers and bases in a range of colours! Call us today to order yours!